From the editors: Czech studies in the United States would be inconceivable without Mike’s pioneering work, both his methodologically groundbreaking textbook and his numerous translations of Czech literature, including works by Karel Čapek, Bohumil Hrabal, Milan Kundera, Jan Neruda, and others. These translations often serve as an entry point to Czech culture, both for our students and for the general public. Many of the American Bohemists who teach Czech language, literature, and culture in the United States and beyond have been taught by and/or inspired by Mike. His presence in Czech Studies is undeniable, and this Festschrift is a small token of our appreciation for his work and achievements. The volume covers four major areas: teaching Czech language and culture, Czech language and heritage, Czech literature, and, with a broader geographical scope, translation studies. 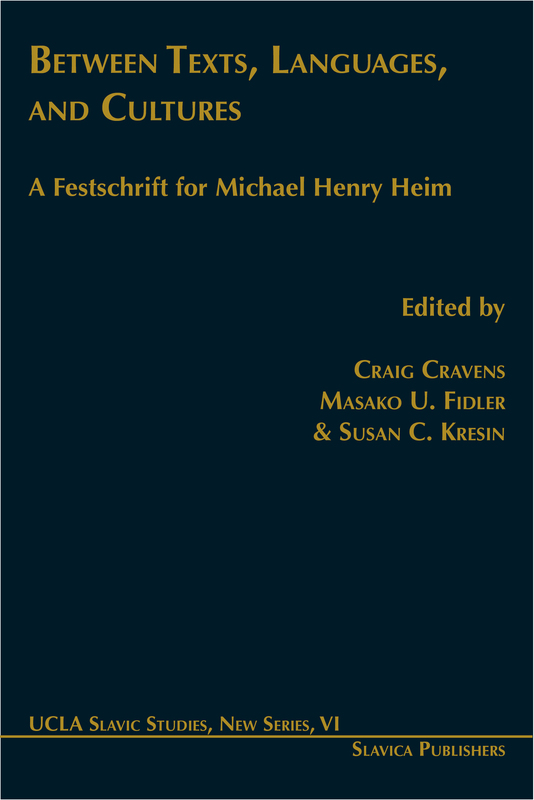 Edited by Craig Cravens, Masako U. Fidler, and Susan C. Kresin This book is recommended for library collections at four-year colleges and research universities.